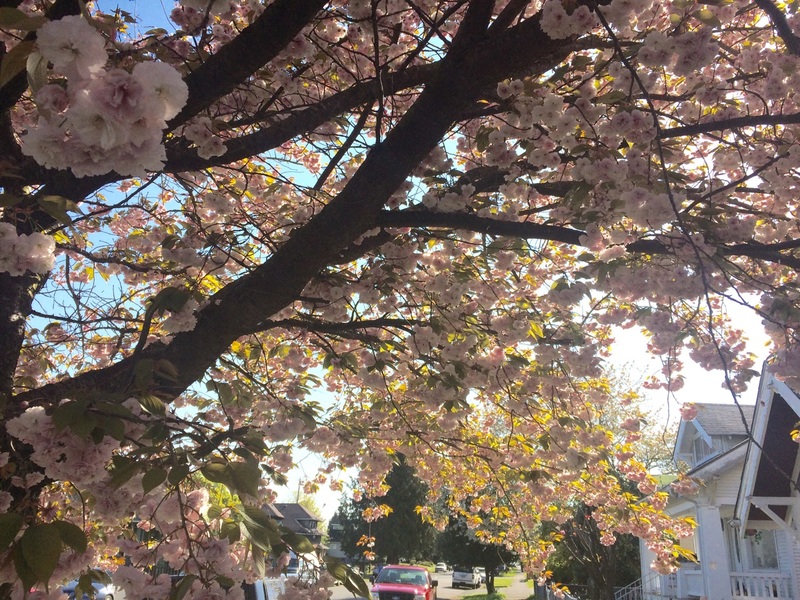 I walked beneath a cherry blossom tree, my 6-month-old son strapped to my chest. Facing outward, he reached out his tiny, curious fingers as I held a branch down to eye level. As his tiny hands gently closed around the soft, pink petals, I leaned down to steal a glance at his pensive face. His fingers, softly opening and closing, his long eyelashes blinking in almost the same rhythm, he seemed captivated by the beauty he held in his hands. There was awe in this moment, a beautiful, profound hush. I thought, here is the mystery. Here is the beauty and magnificence of our Creator. In these petals. In this child. In the love I have for my son as he gazes upon this thing of beauty. There was no doubt in me; I was convinced of the Presence of the Creator, and His Son, who had come to reside in my heart at my invitation one rainy afternoon. So there in that moment, as I joined my son in his worshipful stance, there was at once a yearning and a feeling of coming home. Be still, He says. Be still and know. What a powerful sensation it is to be caught off guard by the beauty and majesty of our God – especially during the seasons He feels just a little too far away. For this new mama, it’s been a tough winter. I know He’s not the one who has taken steps away from me. I know He hasn’t abandoned me, even though that is a lie this tender heart is tempted to believe. I know He’s still right there, by my side, waiting. Here in the Pacific Northwest, spring is upon us. Life abounds. And to my son, everything is new. The world is opening up before the eyes of my boy, bright and new and spectacular. The sun has never been so brilliant. The green grass has never been so green. Through my son’s eyes, everything is a new creation. We pass a stranger on the street, and he stares expectantly, a smile playing on his lips. We hear a crow caw and he turns his head, eager to see what fantastic creature is calling. I can learn so much from this little one, I often think, as I gather the courage to face each moment with gratitude. Through my son and his innocence, our God is calling me away from despair and into the light. Cherry blossoms. Chubby fingers. These are the tiny miracles that get me through each day. So we will keep walking. I will run my fingers through the greenery we pass, through shrubs and trees and vines, reaching for the soft petals of promise. I will hold my hands open, expectant, and pray my son does, too.